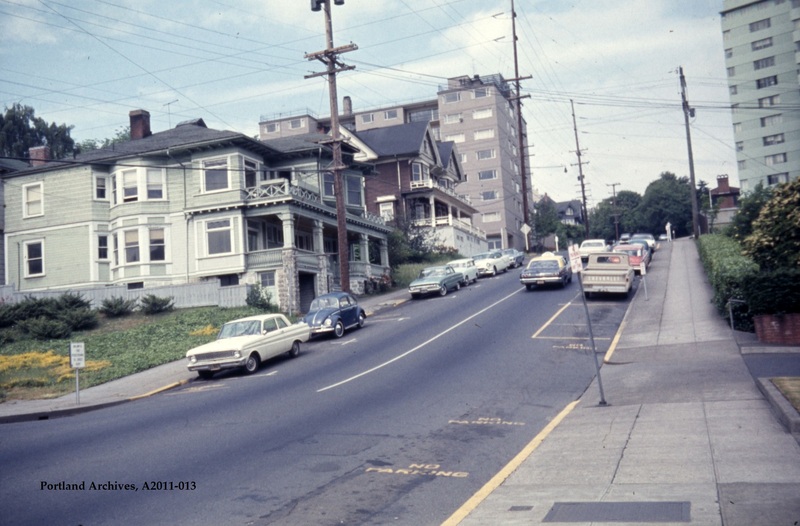 SW Salmon Street at SW 19th Avenue looking northwest, 1966. City of Portland (OR) Archives, SW Salmon St at SW 19th Ave, A2011-013, 1966. 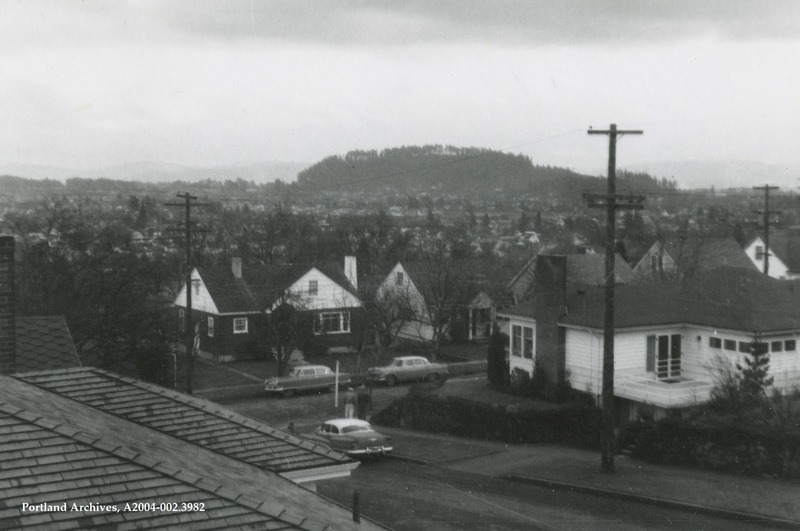 SE 73rd Avenue and SE Salmon Street, circa 1956. City of Portland (OR) Archives, A2004-002.3982. 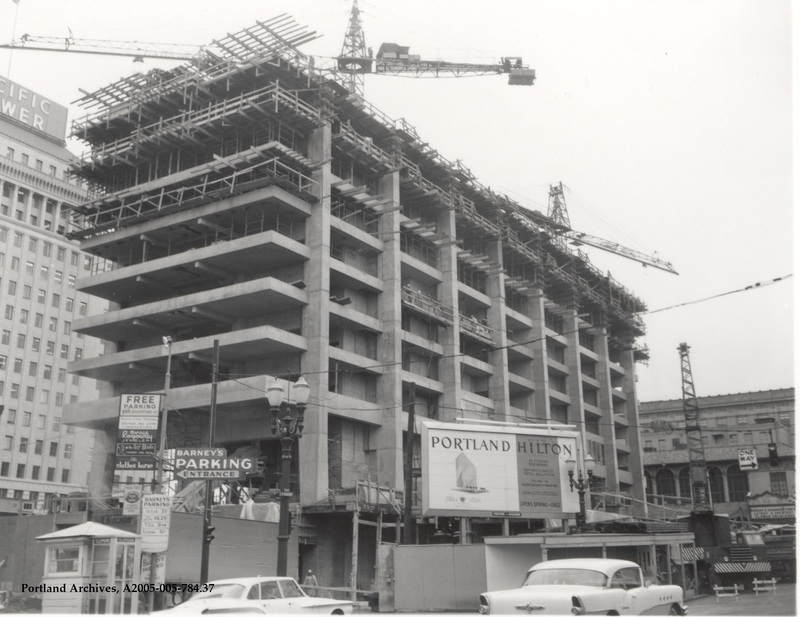 Construction on the Hilton Hotel at SW 6th Avenue and SW Salmon Street, 1960. City of Portland (OR) Archives, A2005-005.784.37. 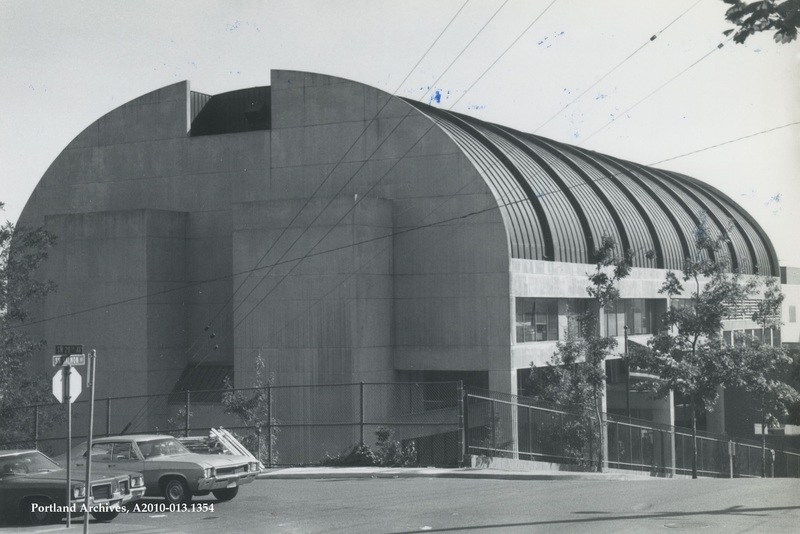 The rear corner view of Multnomah Athletic Club at SW 20th Avenue and SW Salmon Street, 1978. City of Portland (OR) Archives, A2010-013.1354. 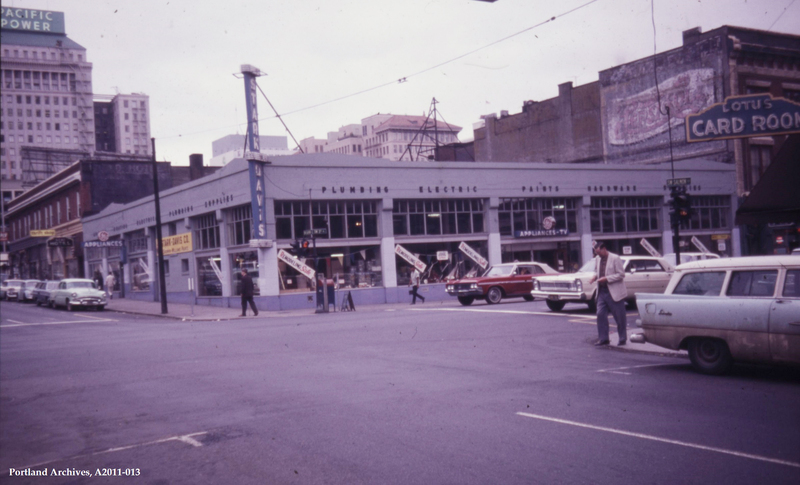 The corner of SW Salmon Street and SW 3rd Avenue, looking northwest up Salmon Street, 1966. We saw this intersection from a different angle in a 1982 photograph just a couple weeks ago. 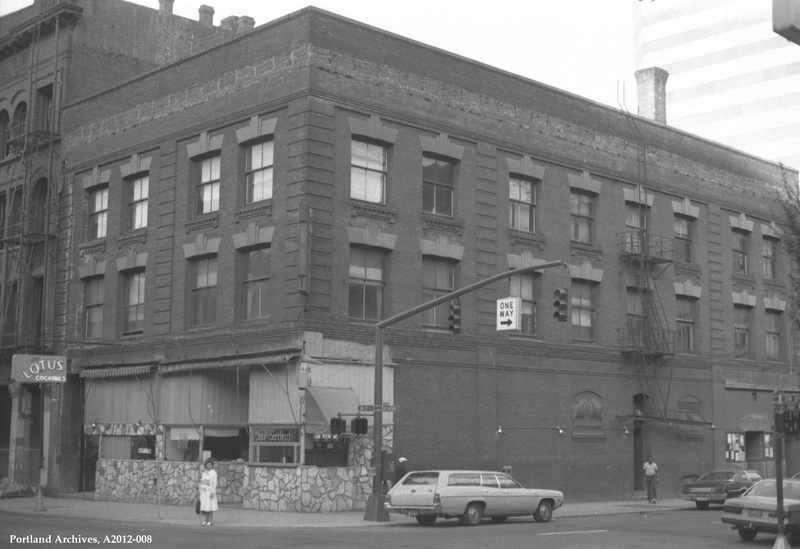 View of the northeast corner of SW 3rd Avenue and SW Salmon Street, 1982. 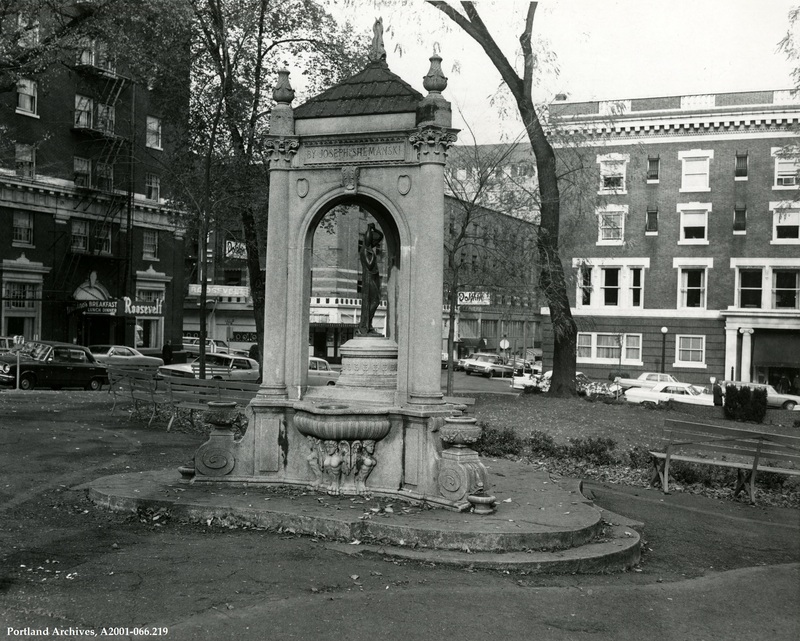 The Joseph Shemanski Fountain is located in the South Park Blocks between SW Main Street and SW Salmon Street, 1967. Joseph Shemanski gave the fountain to the city in 1926. For more historical information on the fountain and the South Park blocks, click here.